The EB-5 visa was created by Congress in 1990, as a means to stimulate the U.S. economy through job creation and capital investment by foreign investors. Moreover, In 1992, Congress created the Immigrant Investor Program, also known as the Regional Center Program. Create or preserve at least 10 full-time jobs for qualifying U.S. workers within two years (or under certain circumstances, within a reasonable time after the 2 year period) of the immigrant investorâ€™s admission to the United States as a Conditional Permanent Resident. Direct jobs - actual identifiable jobs for qualified employees located within the commercial enterprise into which the EB-5 investor has directly invested his or her capital. Indirect jobs - those jobs shown to have been created collaterally or as a result of capital invested in a commercial enterprise affiliated with a regional center by an EB-5 investor. A foreign investor may only use the indirect job calculation if affiliated with a regional center. 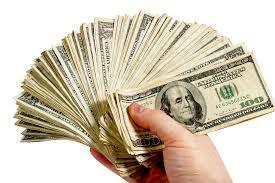 General - The minimum qualifying investment in the United States is $1 million. Targeted Employment Area - (High Unemployment or Rural Area). The minimum qualifying investment either within a high-unemployment area or rural area in the United States is $500,000 USD. Direct route to a Green card - (Permanent residence), in the US for the Investor and their immediate family, including his/her spouse, and any children under the age of 21 years. The EB-5 Program is very Successful and Popular - Since 2008, there has been an injection of over $13.5 billion of foreign direct investment. Tens of thousands of jobs have been created in the US, since the program's inception in 1990. Specialist US Attorney Assistance - You select the safe and secure investment opportunity; our Regional Center, US Attorney's and affiliates manage the complete process. No Management of Investment required - Investors have no need to manage the investment on a daily basis. Generally, the Investor is a Limited Partner, and the control and management of the investment and project will be undertaken by the Regional Center or Project Developer. English Ability & Business Experience not required - No requirements based on Age, Business experience, Education or English language ability. No Visa sponsor required and no work visa needed for employment. Fast and Efficient Processing - by an experienced and dedicated legal team. The Program has No waiting list and No quota backlogs as exists in many other Employment and Sponsorship visa programs. No Residency restrictions - participants may settle anywhere in the United States, including in states such as Florida or Texas with no state income tax. Access to US Healthcare - A US Green card or Citizenship provides Investors and their family with access to the same high quality healthcare enjoyed by US citizens. Education in the US - Free Education in the US public schools system. Entitled to Education at US Colleges and Universities, at US resident costs. 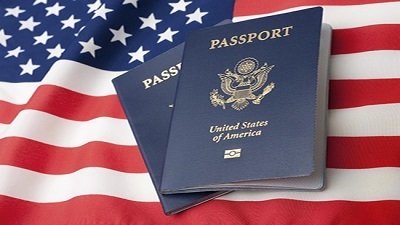 Fast US Citizenship - EB-5 is the fastest way to obtain US Citizenship and a US Passport. Potential for U.S. 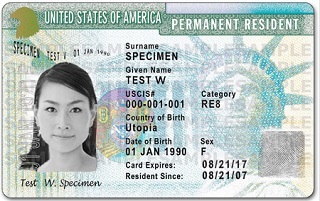 Citizenship after minimum of 5 years of established permanent residency in the U.S.
1. File Form I-526 - Petition by Alien Entrepreneur. Note that our Regional Centers have a better than 99% approval rate on I-526 petitions, which is significantly higher than the nation USCIS average of 89%. File DS-230 or DS-260 - Application for Immigrant Visa and Alien Registration, with the U.S. Department of State to obtain an EB-5 visa for admission to the United States. 3. Once the Form I-485 is approved, the Investor and his family will be granted conditional permanent residence for a 2 year period. 4. File Form I-829 - Petition by Entrepreneur to Remove Conditions, 90 days before the two-year anniversary of the granting of the EB-5 investorâ€™s conditional resident status (Green Card). 5. USCIS Approves Form I-829 petition - the conditions will be removed from the EB-5 applicantâ€™s status and the EB-5 investor and derivative family members will be allowed to permanently live and work in the United States. 10 BENEFITS OF THE EB-5 IMMIGRANT INVESTOR PROGRAM!